An IDP women prepares bread in a clay oven in Kharistan IDP settlement in Qala-e-naw. Around twenty-five thousand families estimated to have been escaped drought and conflict across Badghis province have arrived in Qala-e-naw city. 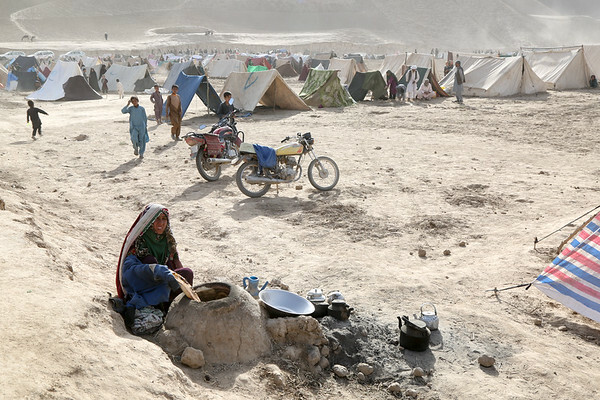 The displaced populations live in disheartening conditions in makeshift tents on open land. Many families live for months exposed to extreme summer temperature, dust, and other elements.